With Hadoop being a great sell story for parallel data processing, the infrastructure guys are trying to squeeze the maximum buck out of it by pooling multiple consumers. 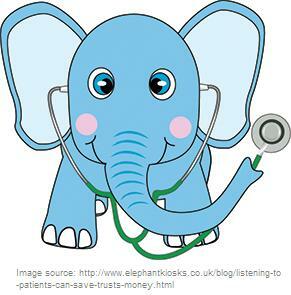 No wonder, there is competition among Hadoop jobs and you guessed it higher incidence of errors. In this post, we analyze an approach for fair scheduling tasks by determining health of a node. 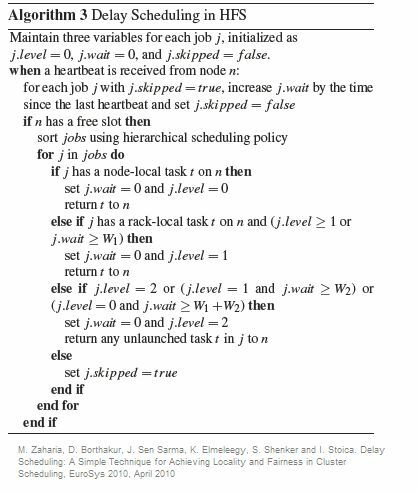 We begin by describing Delay scheduling introduced first in DelayScheduling: A Simple Technique for Achieving Locality and Fairness in Cluster Scheduling (2010) by Matei Zaharia , Khaled Elmeleegy , Dhruba Borthakur , Scott Shenker , Joydeep Sen Sarma , Ion Stoica . 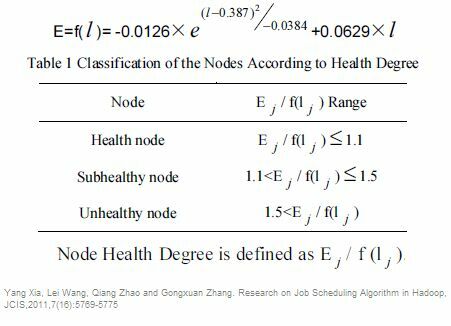 Thereafter we describe the job scheduling based on Node health degree published in Researchon Job Scheduling Algorithm in Hadoop by Yang Xia, Lei Wang, Qiang Zhao, Gongxuan Zhang. The justice done by fair scheduling is subject to criticism of being too fair or unfair at times. It has been demonstrated to be suspect to head of line scheduling (allocating the top task in sorted queue to free node) and sticky slots (possibility of being allocated to same node again and again). The above approach sounds pretty good with the data locality taken care. However, Xia et al did not seem quite happy with it. Their contention has been that what if the nodes are not healthy and error prone? What is the use of fairly scheduling a task on a node which is not fit enough to complete the task? Xia, Wang, Zhao and Zhang have therefore tried to identity variables that define a node and a task, called characteristic variables. Take note of step 3 where the sub healthy nodes characteristics are ‘loaded’ to arrive at a fairness determined by health. We all know schedulers play a major role in architecture of some of the most complex systems as we discussed in one of our earlier post on multimedia search. A lot of text and code has been written on fair and capacity scheduler. This paper definitely describes a unique approach but further tests on high load multi-use clusters can further demonstrate the usage and possible incorporation in future code base.